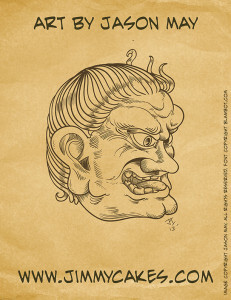 This is a odd head illustration I did while working on a print advertisement for Drift Surf in Wakefield RI. 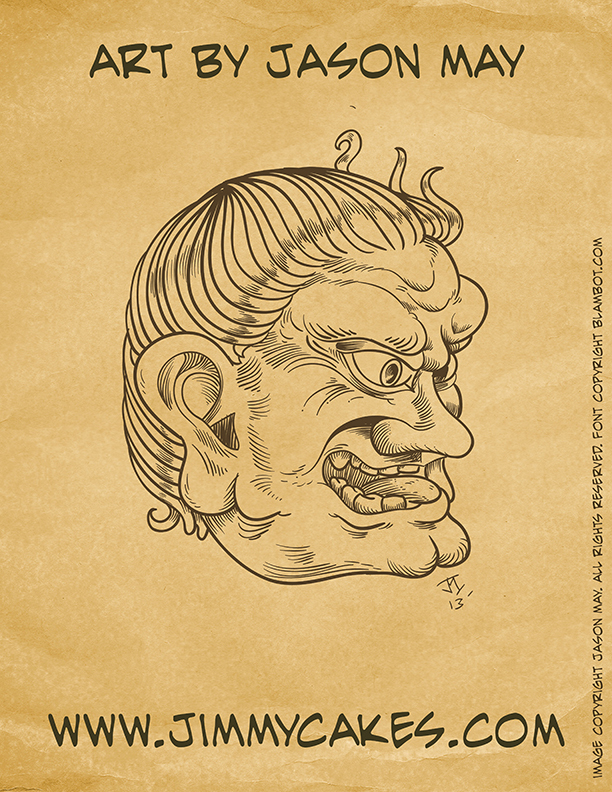 I wanted to replace a skateboarders head with something so I decided I’d make something that looked similar to some of the ancient Japanese guardian heads that I studied in art history so many years back. It was a toss up between that or an Olmek basalt head. I took a rather famous image of one of the heads and did my own interpretation. I removed some ornaments to simplify the design. this head will print at about an inch tall… so the detail I added was really unnecessary and just something I did for myself. But now I have a nice detailed head to work with should I ever need to use it for anything else.